If you own a home or office, you know that there is always something going wrong that you have to quickly fix. 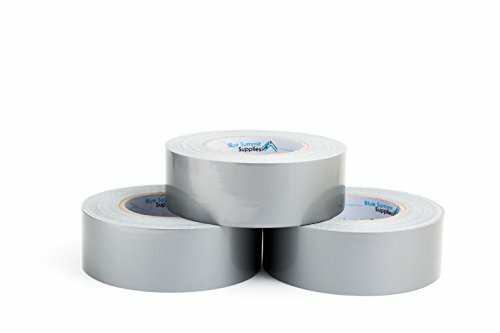 Our multipurpose duct tape easily meets these needs as it will fix almost anything, and with our unique value pack of three 6 yard rolls you will be able to work a lot of jobs around your home. Our 7.3 mil thick duct tape with strong adhesive works great for even the toughest jobs and professional needs. Strong adhesive that is waterproof and will stick to almost anything around your office like wood, concrete or plastic. Easily fix your drier vent, your broken shovel, or a leaky pipe. Quickly pack and move boxes with our duct tape. Unlike standard packaging tape, this tape easily tears off the roll and the rubber adhesive is stronger than even heavy duty packaging tape.